Planar 997-6035-00 Triple Monitor Stand 15" to 24"
The Planar 997-6035-00 triple monitor stand maximizes the benefits of three monitors by making it easier to toggle between applications with the seamless display setup. The 997-6035-00 stand helps to organize displays cables with a cable organizer, and can tilt, swivel, rotate and height adjust. 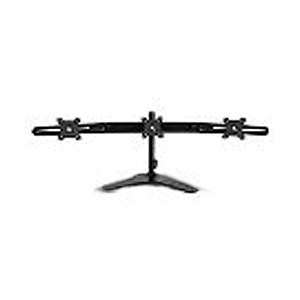 Installation is quick and easy with the Planar 997-6035-00 Triple Monitor Stand 15" to 24".